Athens: Russia is working with all interested parties to prevent the deterioration of the international situation because of the steps made by the United States, Russian Deputy Foreign Minister Alexander Grushko told reporters. Moscow is ready to continue talks to keep the Intermediate-Range Nuclear Forces (INF) Treaty with Washington, as well as with other countries, Grushko said. “We are ready for broad dialogue with everyone who shares our concern about the possible loss of this Treaty, which represents one of the few instruments of arms control and ensuring security,” he added. 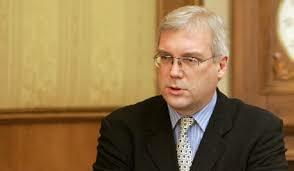 “The Russian Foreign Ministry held briefings today, including for ambassadors of EU member states,” Grushko reminded. “We are ready to continue this work on different platforms so that we try to make the most out of available resources in order to prevent deterioration of the security situation as a result of steps taken by the United States,” he noted.